This bright block puzzle is ideal for developing young children's language and picture recognition skills. All four blocks have been decorated with one part of a colourful mode of transport on all six sides! 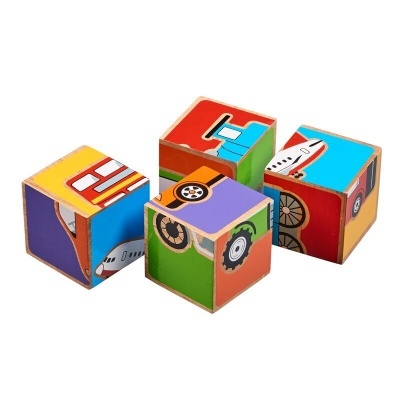 Little hands will love rotating the cubes to complete the transport pictures! 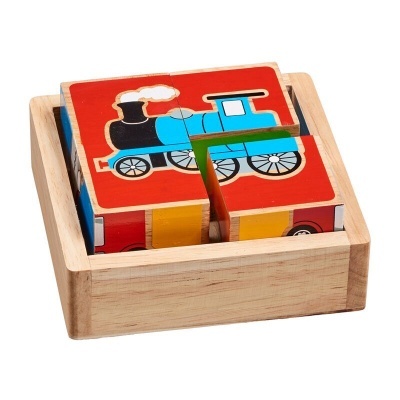 Handcrafted from sustainable wood this puzzle is supplied in a wooden tray. 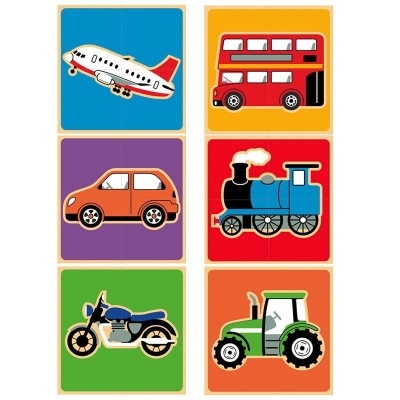 Transport depicted are car, train, aeroplane, motorbike, tractor and bus.